Tesla is the most pointless thing (and for some reason has gained a lot of traction) I've seen in Minecraft in a while. I agree. It's good to have options, but TESLA really adds nothing that RF isn't doing. It's also based on the new forge capability system, which is nice. For players does not mean anything but for mod developers it means a lot. Tesla uses the new Forge Capabilities system that makes us developers alot easier to make and implement power to our mods, and a much cleaner code. also a lot more possibilities. YEAAAAS! Oh GOD! YES! I haven't gotten a single pure imperial at all! Goodbye hybrids! Lava for all of you bastards! I <3 your mods man, like seriously, you do awesome work. Any plans to advance beyond 1.7.10? 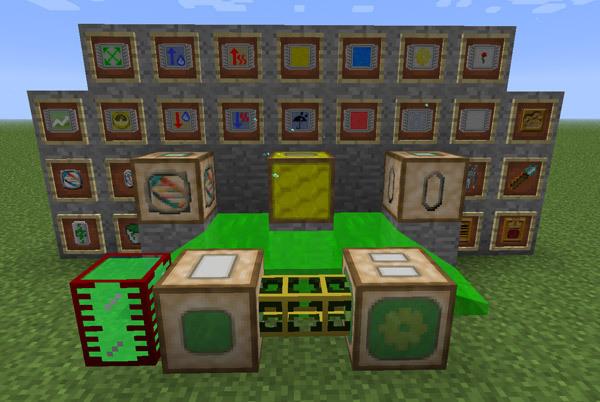 Using another mod of yours in 1.9.4 (AdvGen) and would love to see this one make the leap. Need help? A 1.9.4 port will be out within the next few days. I've been excited since I saw that you were porting Gendustry. You said on june 1st on a different site it would be out in a few days, and you said on here on june 9th it would be out in a few days. Is there any update on how its coming along? i've been impatiently waiting. Love your mods! Been super busy with RL crap and didn't get around to working on it yet. I'll hopefully finish it somewhere next week. It would be impolite of me to ask where you are with this. Hey. Sup. So... how's the family? Going anywhere this summer? Work good? Could you make a forestry and gemdustry for 1.8 or 1.9. ? Just wanted to thank you for the work you put into this mod. It's really cool to be able to so easily create custom bees, and making personalized bees for my friends' modpacks has been a blast. Here's a crash with forestry 4.0? Or is it ? I don't know, look at it . What versions of both mods?